LGBT musicians have shaped the development of music over the last century, with a sexually progressive soundtrack in the background of the gay community’s struggle for acceptance. With the advent of recording technology, LGBT messages were for the first time brought to the forefront of popular music. 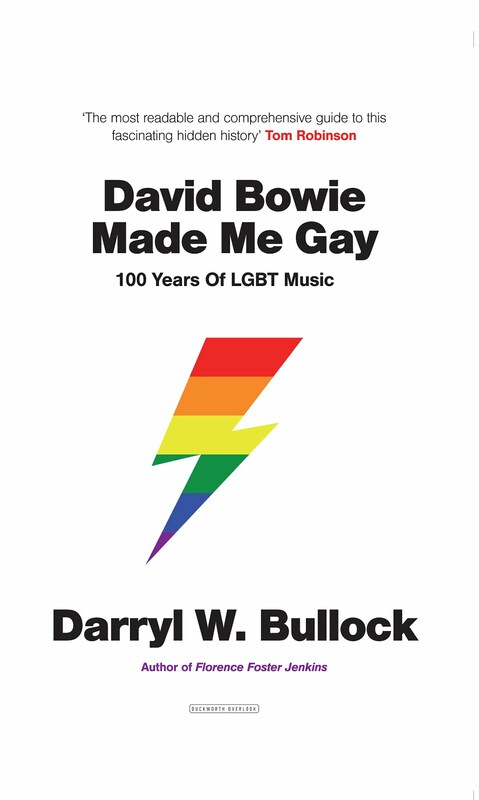 David Bowie Made Me Gay is the first book to cover the breadth of history of recorded music by and for the LGBT community and how those records influenced the evolution of the music we listen to today. 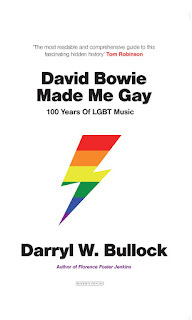 David Bowie Made Me Gay uncovers the lives of the people who made these records, and offers a lively canter through the scarcely documented history of LGBT music-makers. Darryl W. Bullock discusses how gay, lesbian, and bisexual performers influenced Jazz and Blues; examines the almost forgotten Pansy Craze in the years between the two World Wars (when many LGBT performers were feted by royalty and Hollywood alike); chronicles the dark years after the depression when gay life was driven deep underground; celebrates the re-emergence of LGBT performers in the post-Stonewall years; and highlights today’s most legendary out-gay pop stars: Elton John, Boy George, Freddie Mercury, and George Michael.